Go wild with the Countryside Rangers at Alexandra Park. Learn about Glasgow’s wildlife through games, workshops and hands-on activities. Look out for the marquee and drop in anytime (for free!) between 11am until 3pm on Thursday 7th July 2016. A chance for all, no matter what age or previous experience, to get out, explore and celebrate the green spaces and wildlife of the Glasgow area. You don’t need an expensive camera to take part, any image capturing device will do, and if you are a category winner your image will be part of the ‘Wild Glasgow’ exhibition, touring several popular Glasgow locations. Winners will also receive a goody-bag donated by the Field Studies Council (FSC) as well as a canvas print of your image and discount vouchers supplied by Jessops. Your image will also feature both on the OPAL website and within the Field Studies Council magazine. So what are you waiting for? Deadline for entry is Monday 11th July 2016 so have a look at the categories and guidance on how to enter, grab a camera, and get exploring! Information on categories and how to enter, as well as ten tips for taking your photography outside in Glasgow can be found at glasgow.gov.uk/eventsinthepark. The competition is being organised by Open Air Laboratories (OPAL Scotland) and the Glasgow Regional Outdoor and Woodland Learning group (GROWL) to celebrate the wildlife and green spaces of Glasgow. Lots to do here throughout the coming weeks, at the refurbished golf building next to the bowligng greens up the hill at the back of Alexandra Park. Football Club begins Thursday 7th July, from 1pm for age groups from 5 to 16. Get along with friends to have fun and learn some basic footballing skills from a qualified SFA Coach and have fun. Contact Bryan McGill for details via or to book your place via b.mcgill@milnbank.org.uk or on 0141 551 8065 or 07392 872 061. Fitness Club begins Wednesday 13th July, from 7pm to 8pm. £3.00 per person, ages 16+. The intense 1 hour Workout includes: cardio, circuit training, body weight exercises, strength work. Contact Bryan McGill on 07392 872 061 or Craig Davis on 07584 041 326. Takes place on Saturday 23rd July. See our news post here for full details of the 2016 Alexandra Park Festival. Tollcross parkrun is a friendly 5km run that takes place every Saturday at 9:30am in Tollcross Park, 254 Wellshot Road, Glasgow. It’s free! But please register before your first run. It’s entirely organised by volunteers, running for personal enjoyment, and you’re invited to join in whatever your pace. The group meets after the parkrun for coffee and chat in the cafe at the Tollcross International Swimming Centre next door. Right on our doorstep, the Seven Lochs Wetland Park is Scotland’s largest urban nature park and brings together 20 sq km of lochs, parks, nature reserves and woodlands between Glasgow and Coatbridge. The park offers an exciting range of things to see and do. Encompassing seven lochs, five local nature reserves, a country park and one of Glasgow’s oldest buildings at Provan Hall, the park’s miles of walking and cycling routes provide the perfect place to unwind from the stresses of city life. With lots of activities to encourage recreation and education, and a range of ways to get involved in the park, there’s something for everyone. 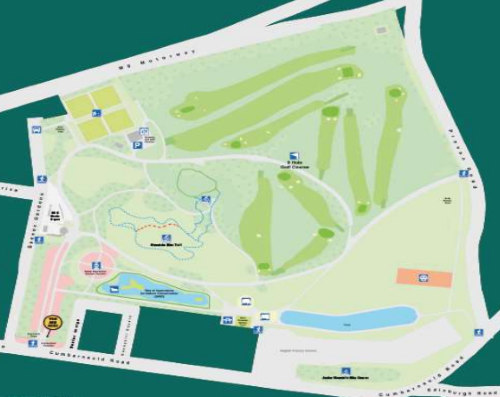 Check mypark.scot for lots more information about our local parks.